Umm… He finds the third website interesting and visits it. Its 2 minutes, he is been waiting for a website to load. In vain! Ultimately he loses his patience and moves to another website. Do you realize how easy it gets for the user to shut down the site just because the website is not loading up fast? At the same time do you realize how hard it gets for the entrepreneur to lose one potential client? 73% of mobile internet users say that they left the website because of slow loading. Speed! Yes, speed can be one of an essential factor for the rise and fall of your conversion rate. There’s no doubt that website speed is critical for the business success rate. 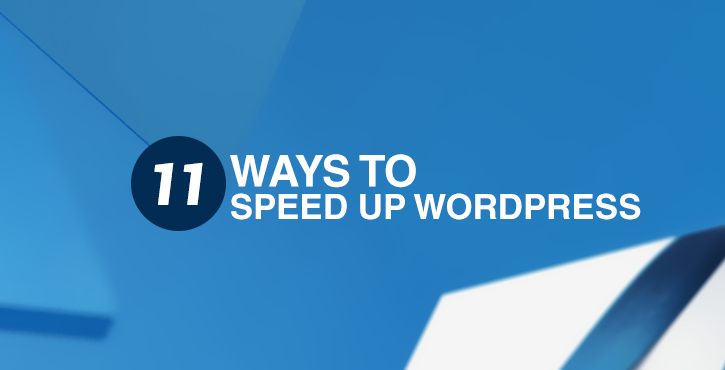 In case you are working on a WordPress Website development company, it can be hard to get the desired speed site if you are unconscious about the factors that hamper your sites speed. Usually, badly written plugins, huge size image, and bloated themes are the cause. This saves the number of resources used to display your pages, resulting in faster overall load times for your visitor. Caching is a technique that enables a website visitor’s browser to save the copies of your site’s individual pages. That means if the visitor revisits the page in future the content can be called up from the cache instead of reloading the page. This spares the number of assets used to load your pages and thus we can reduce the load time. One such module that will enable is W3 Total Cache. Prior considering any factor for speed issue it is quite important to take an analysis of your site’s speed from a cloud-based tool. You can use any of the following tools. You can use this analysis as a benchmark and once you have done the changes listed here, you can again test your site to see if the changes are worth enough or not. Hosting is certainly not going to solve all the speed problems yet it impossible to have great speed without one. Moreover, other than the speed you can avoid other issues faced by a managed host like security vulnerabilities and bandwidth restrictions. So if you are looking your site to perform faster, you can look for service like Turnkey Internet. They provide us with bulletproof reliability and a 100% Network Up-time Guarantee. A content delivery network saves copies of your website page across a network of data centers. This technique helps to serve the site from the nearby physical location to the visitor. In case you want to draw visitors globally, then a CDN is a must. You can consider options. The most common mistake seen is a website load all its plugins and ultimately the website speed slows down. Most of the plugins load script on each and every page whether it is required or not. So, for this issue, we have a plugin organizer that helps you to disable plugins site wide except on the page where it is required. We are aware of the fact that when someone clicks a URL into a browser, the DNS translates the URL into an IP address where the server is located. So how could a premium DNS help us to boost the speed? A premium DNS will decrease the lookup time and along with this, it will add security for “website not found” errors. Consider these options for Premium DNS. We agree to the fact that one of the best things about WordPress is about its number of plugins it supports. Though if your site has a number of plugins installed it can create clutter, lead blog to crash and leave you vulnerable to security issues. So the solution is simple – use what’s absolutely necessary. Slow site because of bloated themes – usually the reason for the slowest site. WordPress is flourished with various theme options, both premium and free. So make sure that you are equipped with a theme that not only performs well with a lot of functionality but is not heavily dependent on images. Yes, we agree that images are the reason for an amazing look and feel but they are even the reason for slow downloading. An additional thing to take care of is a theme with a CSS based design. You can use Pingdom or Webpage Test to see how well the themes perform. As previously discussed that large size images are one of the essential reason for low speed, so we should make sure that the images used are well optimized. We recommend keeping a limit of 1MB per page. Use the following to compress the image without affecting the quality. There are many queries that bog things down, but there is no need of queries when it comes to a static content. Fortunately, we can fix this easily, all you need to do is install the WP Performance Score Booster and tick the applicable option.